NOVUS Glass, the international leader in auto glass replacement, sees nothing but blue skies ahead for their franchisees. 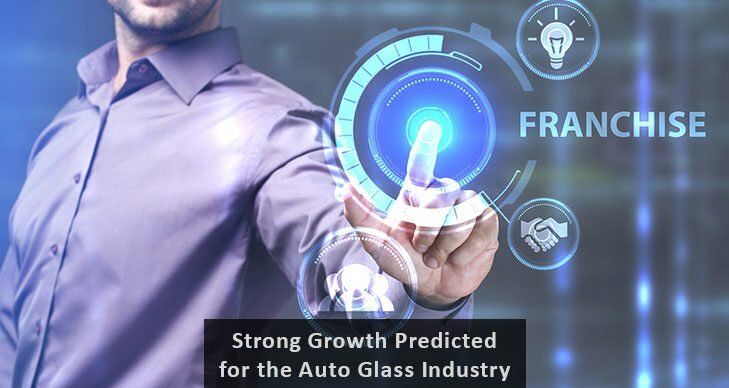 According to a report recently released by Market Research Engine, the automotive glass market is expected to grow more than $25.5 Billion by 2022. The more cars sold, the more NOVUS business owners will be needed in their communities, providing expert automotive window glass replacement and repair. Auto glass is a specialized industry, and the glass is significantly different than window glass. The glass in an auto’s windows does a lot more than protect passengers from the elements. The technology used in creating automotive glass takes into account the many incidents an auto will experience over its lifetime, including potholes and rocks, items falling off other vehicles, and fender-benders. The glass increases the integrity of the car while protecting the occupants. By supplying the highest quality products with the newest technology, NOVUS Glass franchisees are some of the most successful in the industry. NOVUS invented windshield repair in 1972 when an entrepreneur bought the patent rights and designed a business plan to bring this service to people everywhere. For 45 years, NOVUS has been and remains the industry’s research and development pioneer. NOVUS has been awarded more U.S. Patents for windshield repair than the rest of the windshield repair industry combined. With over 2,000 locations in 43 countries on 6 continents, a NOVUS franchisee instantly becomes a part of worldwide brand recognition. NOVUS has grown for over 45 years and continues to do so. NOVUS’ recent acquisition by Fix Auto, a body shop franchisor based in Quebec, Canada, has further expanded the reach of the NOVUS brand around the world. To learn more about the NOVUS franchisee opportunity, visit us at www.novusglass.com or call 1-800-77-NOVUS (800-776-6887) for a NOVUS location near you. For franchise development information, contact 800-944-6811.